Home > Blog > How To Build Your Brand? Across the world, there are some companies that have stood the test of time and more importantly are known to people across the world. Reason? Their strong and sustainable brand equity. 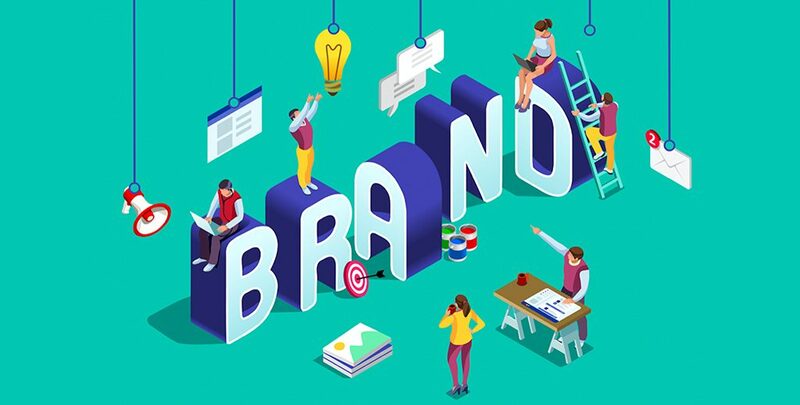 Brand Equity refers to the value generated by the unique perception of the consumer regarding that brand’s product or service. The key word here is Perception. Take Mercedes Benz and what comes to your mind? A successful middle-aged CEO and prestige. How were you able to tell it? Such is their strong positioning. In this digital age where the average consumer is bombarded with advertisements, it is quite a challenge for new businesses to stand out and grab her attention and find a place in her memory. We have assisted several of our clients in establishing their brands. So, in this post, we will look at how to build a brand. The first step in brand building is understanding who your customer is and also be aware of where you stand in the market currently. To achieve the same, you must be clear in what you want to offer, to whom and how you want it to be perceived – Segmentation, Targeting and Positioning. In addition to that, one must also do a review of their competitors, their websites, advertising and so on. This would give an idea on how to compete and differentiate and what strategies to follow. In this step, a you must identify your business’s core philosophies (what it stands for) such as its mission statement and values. It is also important to determine your brand’s value proposition to the consumer. It is that singular thing which makes your business yours and therefore must be strong and distinct enough to always have an edge over others. The next step is to create the look, feel, and voice of your brand – be it the tagline or a slogan or your website or an advertisement. All these should seek to convey to your customers why they must buy a good/ service from you over others. This messaging must be persuasive to say the least and also must be carried across all marketing channels – from the website, to social media, advertisements, and packaging. Here again, it must be consistent with your core values and strategy. Brand building is a continuous process. Successful brands continually remind their target segments in innovative ways to strengthen their brand equity. With the advent of internet, there are numerous channels at your disposal to communicate directly with your target audience. However, it has become challenging, given the information clutter on the web. Therefore, it becomes all the more important to formulate relevant strategies as per the channel to solidify your brand. Our coders having a thorough knowledge of PHP, Magento can help you establish a robust social media presence directly with the desired target audience whether on Facebook, Twitter, YouTube or Instagram. Times change and with that attitudes, technologies, preferences and the like also change. You must routinely analyze and refine your brand from time to time to stay competitive in the long run. You can now Hire a programmer at HireIndianProgrammers who possesses the requisite digital tools and technical know how to setup your brand, track, target and test new strategies and tactics.